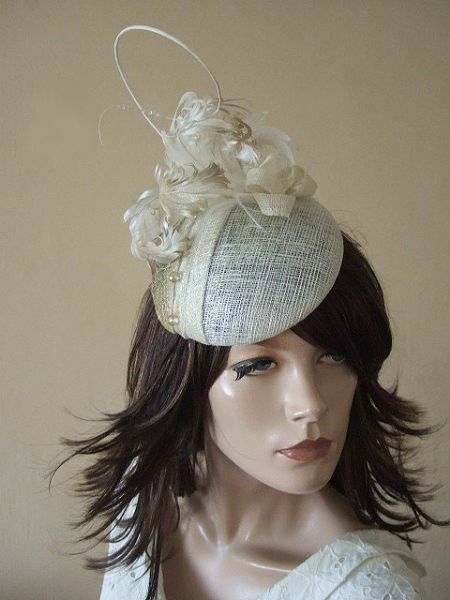 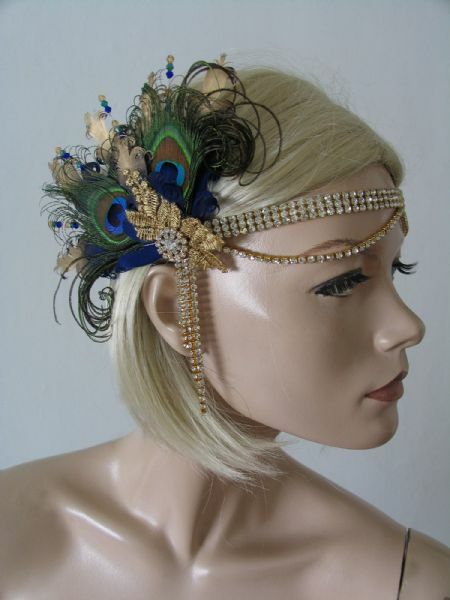 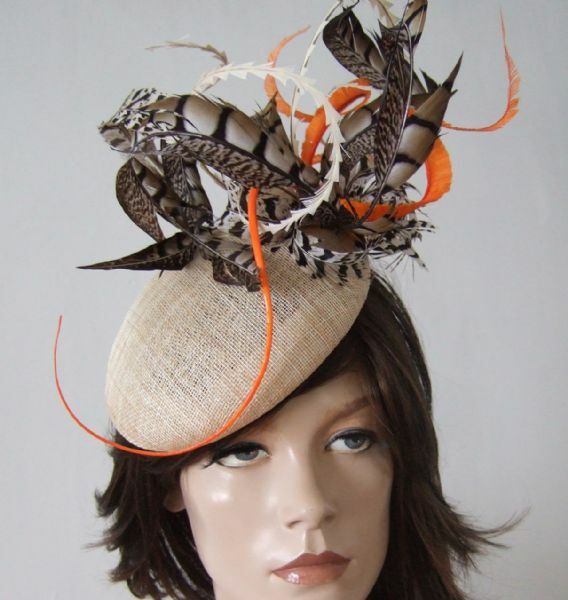 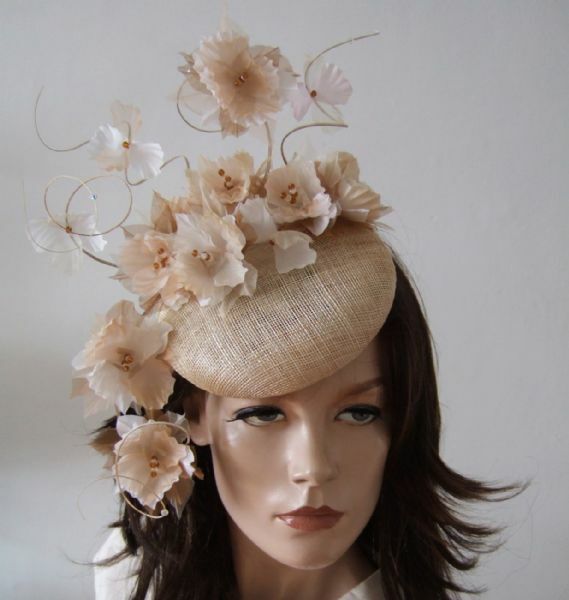 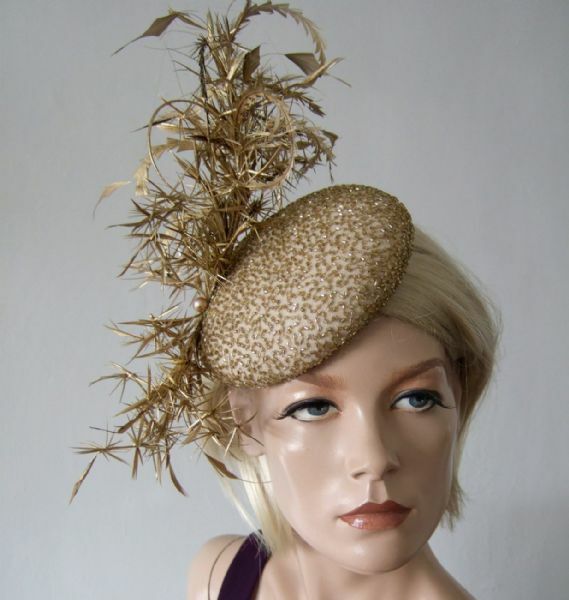 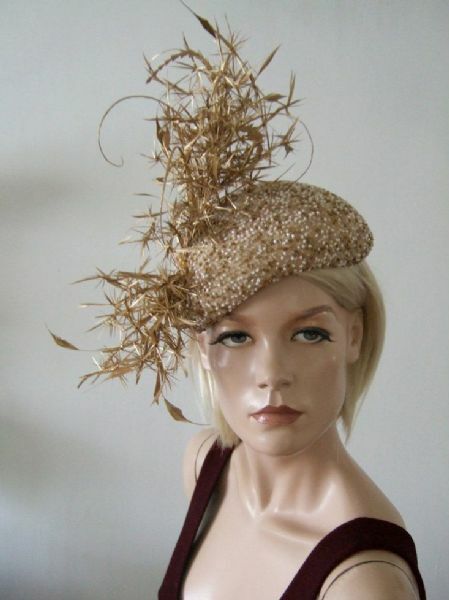 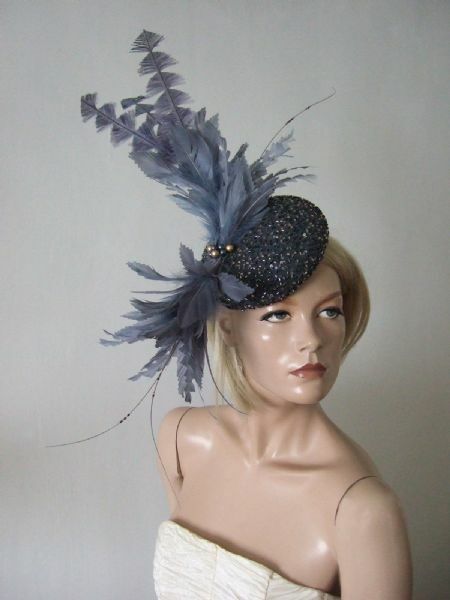 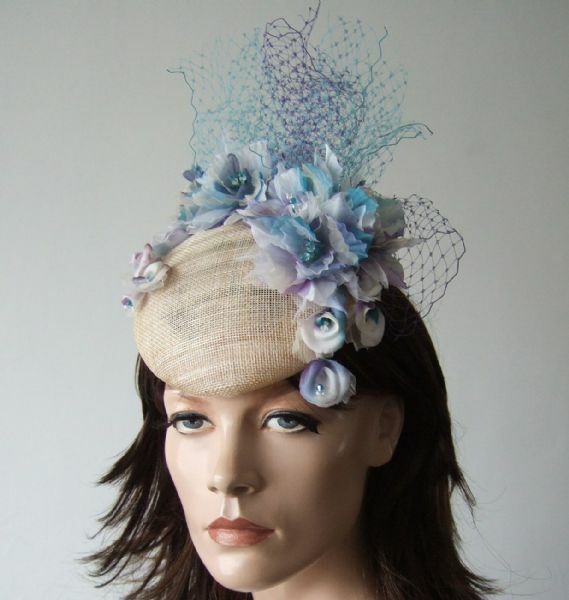 Great Winter Racing or Winter Wedding Mother of the Bride Hat. 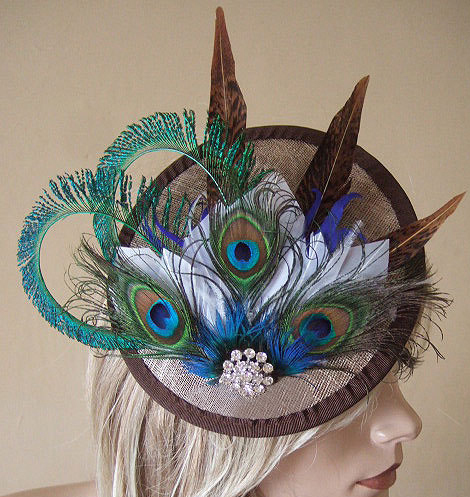 Complies with the Royal Ascot - Royal Enclosure Dress Code. 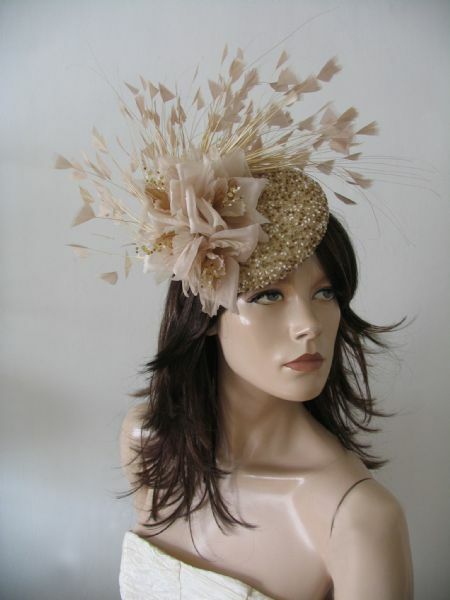 Gold Silk Beaded and Feathered Smartie Headpiece Cocktail Ascot Hat "Olivia"
Gold Black Sequin Kanzashi Flower, Veil and Quills Button Headpiece Cocktail Hat "Meredith"
Gold Ivory Sequin Kanzashi Butterfly, Veil and Quills Button Headpiece Cocktail Hat "Clara"
Cream White Peacock & Goose Feathers + Guipure Lace + Veiling Bridal Wedding Fascinator Hair Clip "Zia"
Natural Peacock Brown Blue Nudes Feathers Fascinator Hair Clip "Alloma"
Natural Peacock Brown Cream Nudes Feathers Fascinator Hair Clip "Leanne"
Our Best Selling Bridal Clip Fascinator. 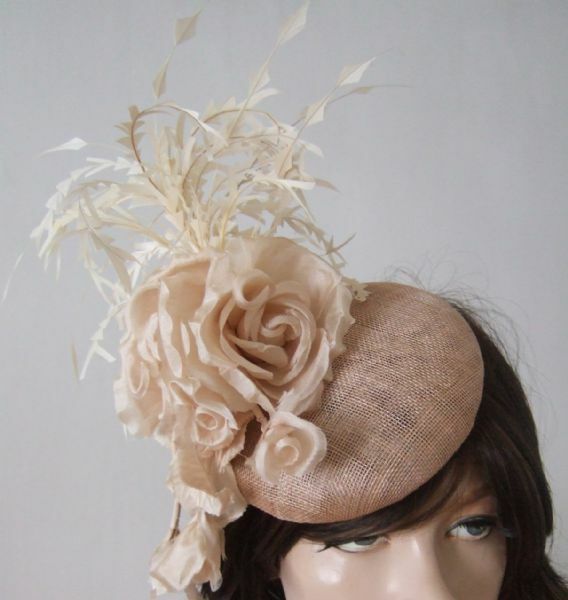 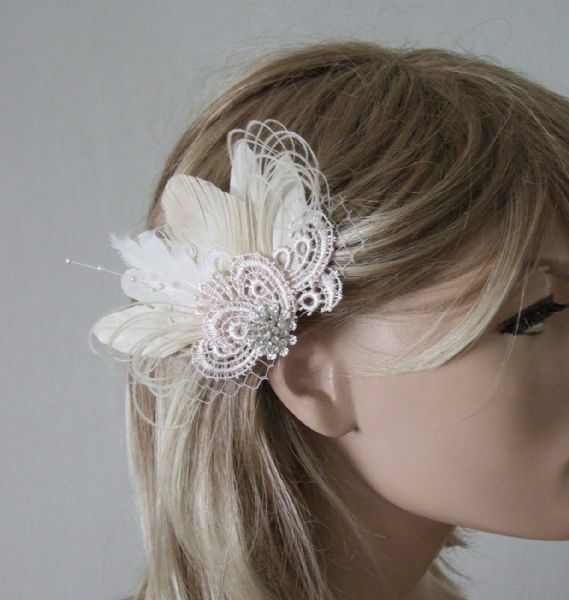 Perfect for a Rustic or Woodland Theme Wedding. 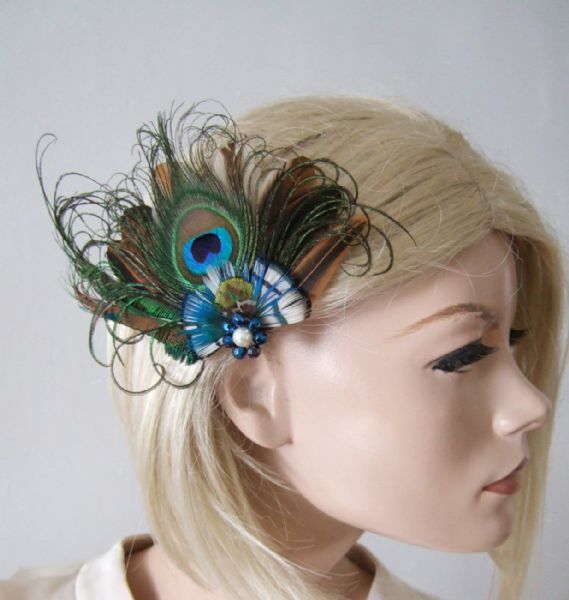 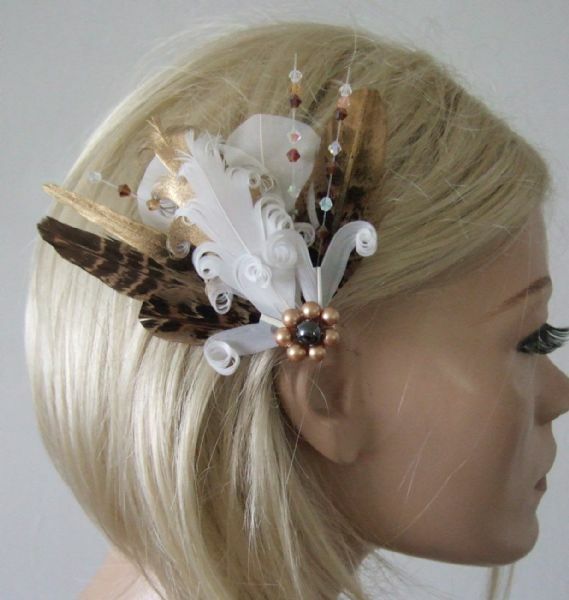 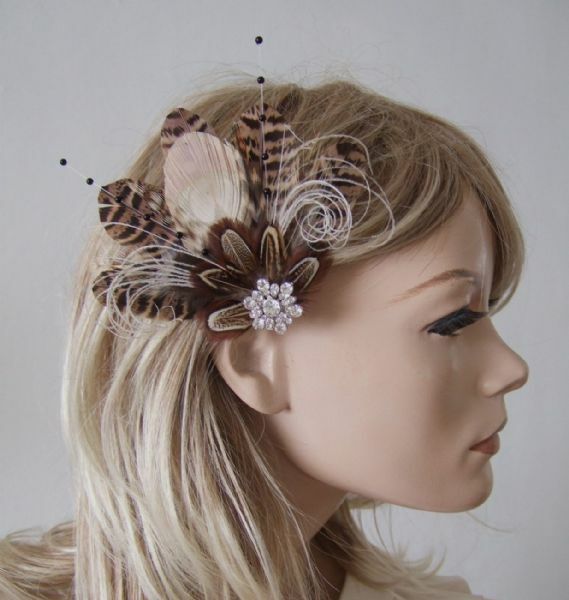 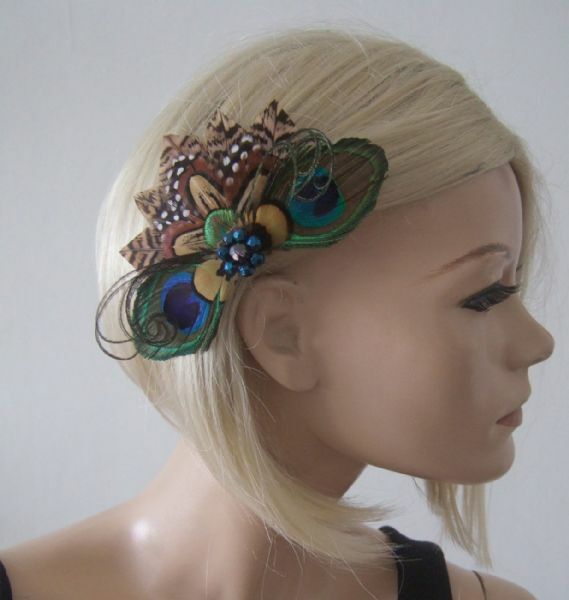 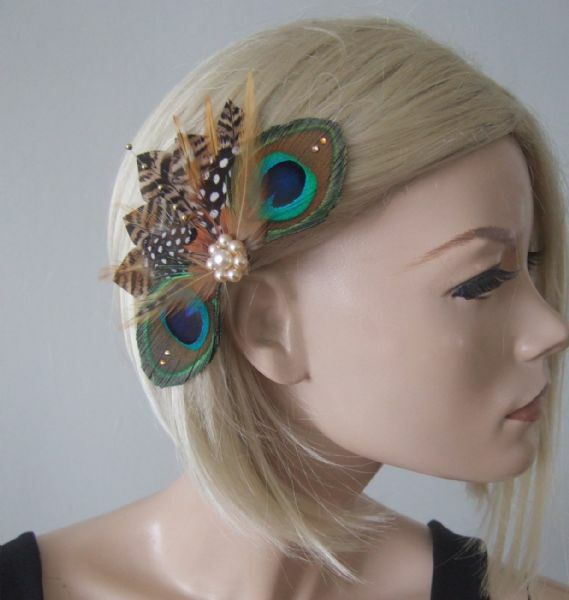 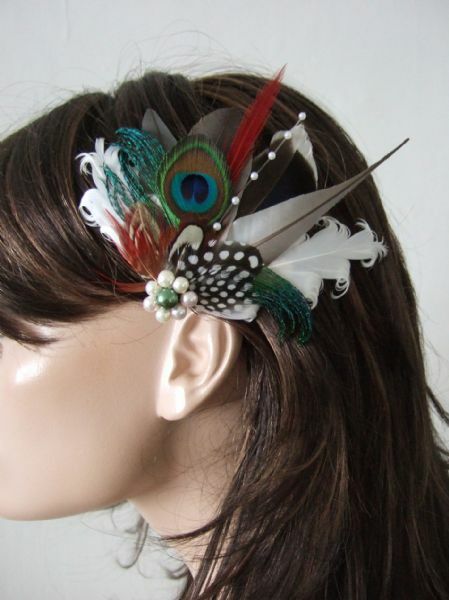 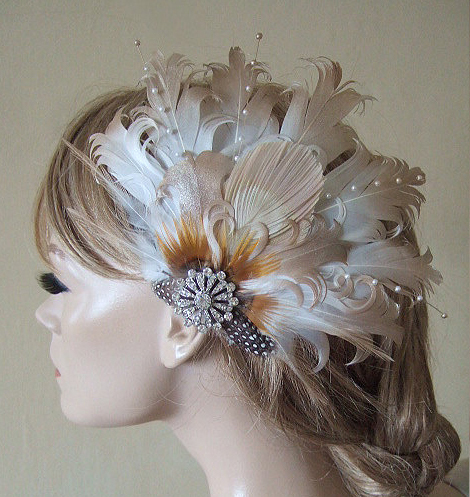 Peacock Pheasant Brown Cream Nudes Feathers Fascinator Hair Clip "Ginny"
Peacock Pheasant Brown Cream Nudes Feathers Fascinator Hair Clip "Lavina"